Historically, ADCs were deployed at the edge of where the application data center communicates with clients connecting across a WAN -- typically, the internet. Today, ADCs are also deployed on corporate intranets or inside cloud data centers connecting LAN-based clients to LAN-based application servers. 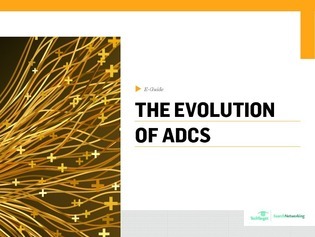 In this e-guide, explore the companies that offer the broadest selection of ADC features, and learn about the evolution of ADCs as demands have changed.